Event planners from McDonald's, Microsoft, Nike and Cisco will attend the debut of the PCMA Global Corporate Summit in Glasgow. The four-day conference, which the Professional Convention Management Association (PCMA) said is forecast to attract buyers overseeing a total estimated spend of $1bn (£631m), takes place between 22 and 24 July. Its aim is to bring together senior event and meeting buyers to discuss the challenges in the international events market. Sherrif Karamat, the PCMA’s chief operating officer, said: "It is exceptionally rare to have this wealth of experience and expertise in the same room and we’re delighted to have such a senior and knowledgeable group in Glasgow for the very first summit. "Glasgow has a reputation and heritage for learning and knowledge, and we are confident that the outputs of this conference will make its own mark on the global meetings and events landscape." 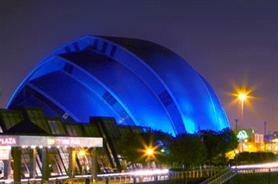 The event is being run by the PCMA, in partnership with the SECC and Visit Scotland.